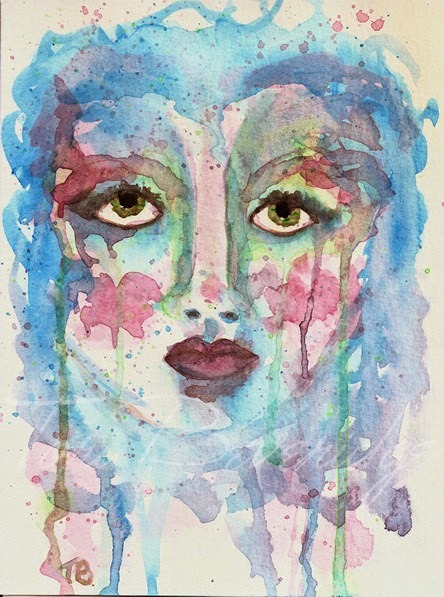 Yes, another watercolor face today. I had to do one more, because yesterday’s was so enjoyable for me to paint. I was definitely much more relaxed while painting this one. She marks the half way point in Thirty Paintings in 30 Days and my ninth face for 29 Faces in September 2014. 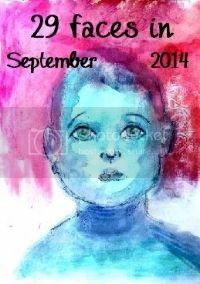 Posted in 29 faces, Creative Every Day, portrait, Thirty Paintings in 30 Days and tagged face, painting, watercolor. Wow, I love the mood that you created with these colors. oh wow love it ! Hi Tori,I really love all of the faces you've been working on this month! I chose to post on this one because she is my favorite,I love the drippy effect you have going here a lot,but they are all very,very good! I especially liked your digital piece as I've never done one myself. It's on my list but I've never tried yet! Hope to come back soon.